Tragedy strikes somewhere in dark and quiet rural Britain. And it’s a double whammy for detective Ryan Barnes (Matt Hookings). His wife is in a comma following a major car accident. On top of that, he has to investigate an increasingly sinister murder spree, in which the victims seem to have one common trait: they are old and vulnerable. Not even the idyllic backdrop can offset the toxic mix of personal drama and professional test than has befallen the young and good-looking Ryan. 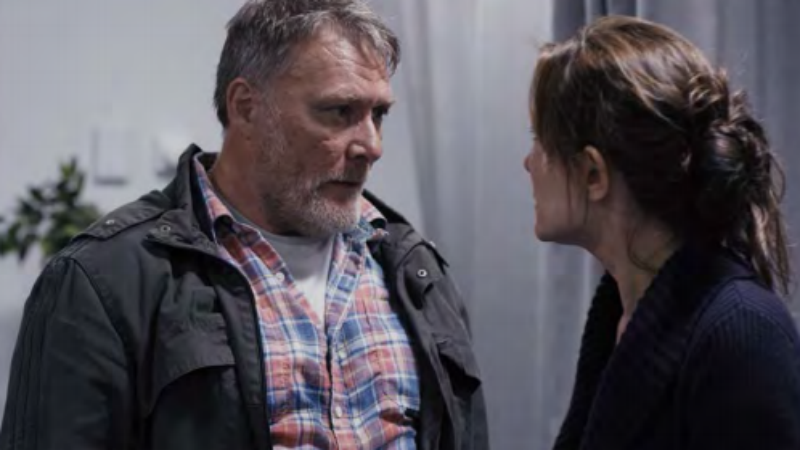 It’s hard to avoid clichés in a detective and serial killer thriller, yet Winter Ridge carefully dodges all predictable twists and empty platitudes. This isn’t your average adrenaline-inducing action indie. This is a multilayered and profound endeavour dealing with a very serious and complex condition: Alzheimer’s Disease. It turns out that all the murder victims suffer from some degree of dementia, and the quality of their lives is increasingly precarious. This raises a lot of questions. why would anyone target such vulnerable people? Are these mercy killings? Or are there pecuniary interests? Is someone playing God? Or is there a far more sinister explanation? 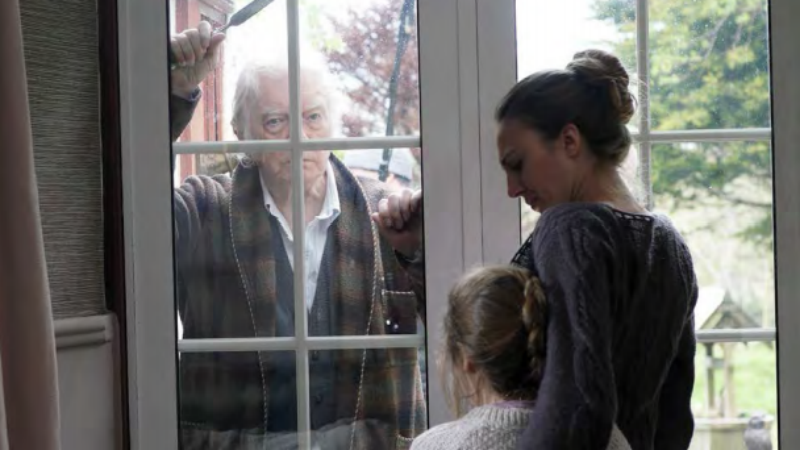 The doctor caring for the Alzheimer’s patients Joanne Hill (Hannah Waddington) has a succinct explanation for their affliction: “when the sun dims so too can consciousness; that’s an evolutionary trait we’ve all inherited but for Alzheimers patients it’s far more heightened”. The fallibility of memory is a recurring theme throughout the movie. Alan Ford (who is beginning to look a lot like Lord Heseltine) delivers an outstanding performance as Dales Jacobs, whose advanced condition means that he’s constantly and desperately searching for his long-gone wife, and often fails to recognise his own granddaughter. He confesses to Ryan that he can remember what he read on a pebble years ago, yet often forgets far more recent and significant events. “It’s the small things that we remember”, he sums it up. Dales’s awareness of his condition and the inescapable prospect of deterioration make his predicament far more harrowing. And it isn’t just his mind that doesn’t work properly. His shaky fingers no longer allow him to paint the impressive countryside. The action/drama takes place in the fictitious town of Black Rock. In reality, Winter Ridge is filmed in the North Devon. The dramatic coast is the perfect backdrop to these psychological thriller. The “ridge” in the movie title is a film character per se. The mountain range is a watershed, in both the metaphorical and the literal sense. The craggy geography of Southwest England will help to decide the fate of the most important characters. But that’s all I can tell you without spoiling the film. The final sequence recycles a trope you will recognise from many mainstream movies, yet it very original in its execution, and the denouement is entirely unpredictable. This is a filmic study of grief, loneliness, altruism, self-pity, accountability and the very meaning of life. These complex topics are delivered all with a small dose of adrenaline injected directly into your veins. In other words, Winter Ridge is good fun that’s not empty on the inside. Winter Ridge is out in UK cinemas on Wednesday, September 5th. The movie was self-distributed by Camelot Productions, and it’s showing in more than 25 locations across the country – a remarkable achievement in terms of independent theatrical distribution.